In this blog, we are going to learn how to get a stored procedure encrypted. In this blog, we are going to learn how to create a stored procedure that is encrypted. 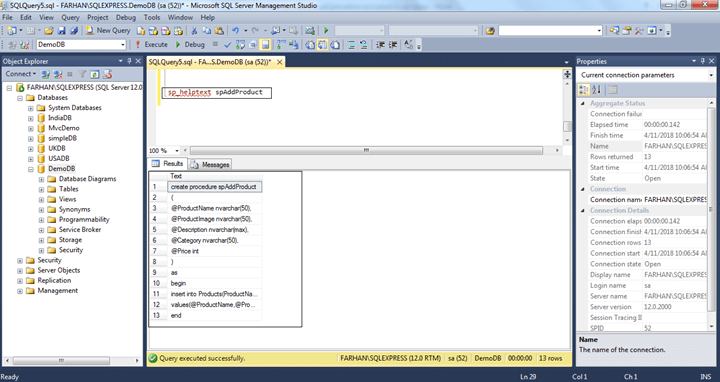 Create a table in SQL Server with a version of your choice. Create a stored procedure in it. 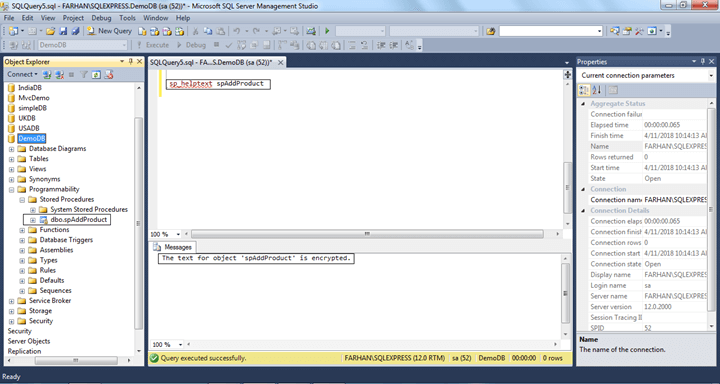 Alter the stored procedure to make it encrypted. Check if the stored procedure is encrypted.